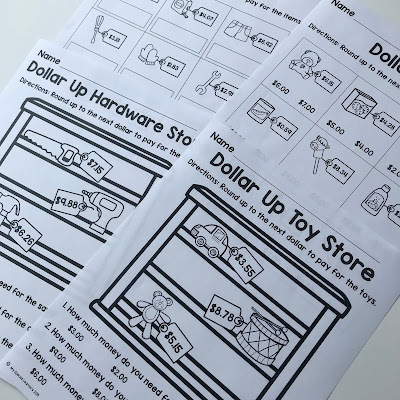 Do you use the dollar up method in your classroom? 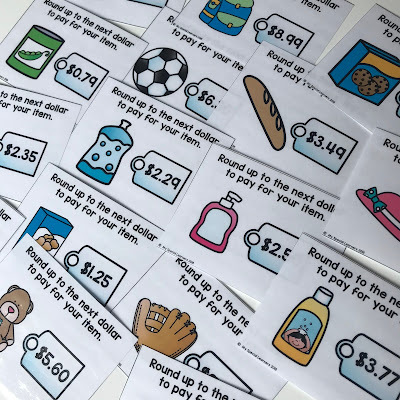 I just recently created some dollar up resources that are a great way to work on paying for items by rounding up to the next dollar! I know that in a special education setting, differentiated and interactive activities are a MUST! Because of this, I included adapted books, file folders, differentiated worksheets, and interactive task cards. 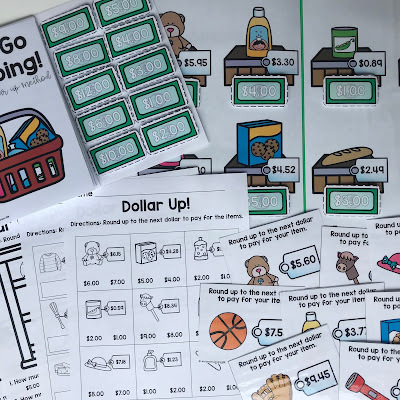 The task cards are a great way to use real dollar bills and practice paying for items with the dollar up method! I've included 2 adapted books to make doing math work a little more fun for our kiddos. 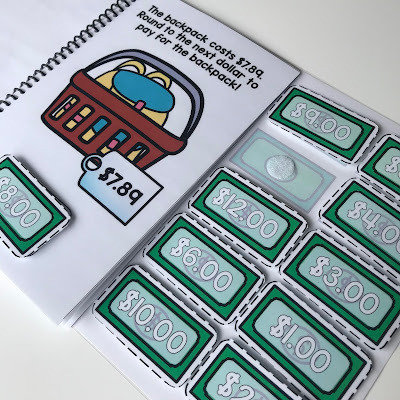 Each book has 10 different totals to use the dollar up method to find the cost! There are 4 file folders included to use in independent work settings, 1:1 work, morning work, etc.! I love using file folders when a student has mastered a skill to keep them working on the specific skill. Included are also 30 worksheets with 2 differentiated levels. There are lower level options with multiple choice answers where your students can just circle the correct answer. This is perfect for non-writers! I LOVE these task cards. There are 40 task cards included. 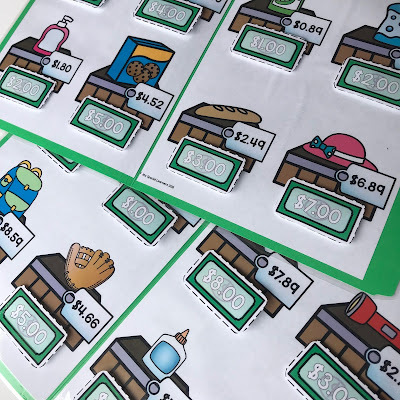 Your student could just tell you how much money they would pay with, however I would use these with real dollar bills and have them pay for the item. I created a FREE dollar up poster that you can download and use when teaching this skill to your students. Click HERE to grab it! Hope you all have a wonderful, relaxing Sunday and a great week ahead!